A group of teenagers undertaking an expedition was helped to safety after getting lost on the Lake District fells. Cockermouth Mountain Rescue Team was alerted on Sunday evening after the four young people called for help while on their gold Duke of Edinburgh’s Award venture. 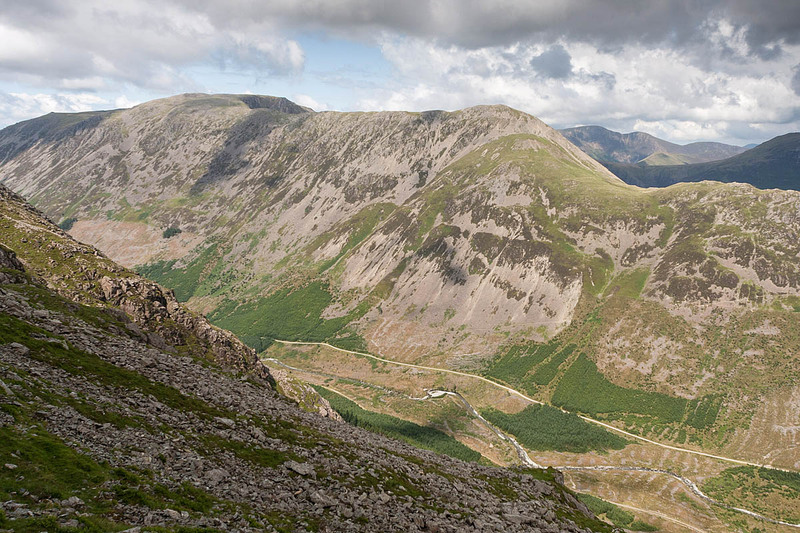 The group was walking over the tops from Ennerdale to Buttermere. Rescuers used the Sarloc smartphone system to pinpoint their position near the summit of Red Pike. A team spokesperson said: “A team member, who happened to be out running, came across them as the team leader was talking to them via mobile phone. The rescue involved six Cockermouth MRT members. Is that a fail then? Despite the fact that they ended up having to be rescued after they were sent out with the task of getting from A to B under their own steam. They’re probably not allowed to fail them. These kids will have been brought up without the reality that sometimes in life you’re not good enough to ‘pass’ or ‘win’. Imagine the outcry from their parents if they went back home and said they’d failed. Even though that’s what they did, mummy and daddy wouldn’t allow it. Interesting comments Annie - D of E has changed over the years. Your expedition must be unaccompanied and self-sufficient. Pleased everyone was safe and well and I hope this doesn't put the group of doing it again. Interesting to know the location of the group's Supervisor (not their Assessor) while they travelled from Ennerdale to Buttermere. Whether a training or an assessment the group's Supervisor is responsible for their safety. In the modern way, the Supervisor is often many miles from the group, possibly stretching the concept of Remote Supervision to its limits, especially if the group has not received adequate training.